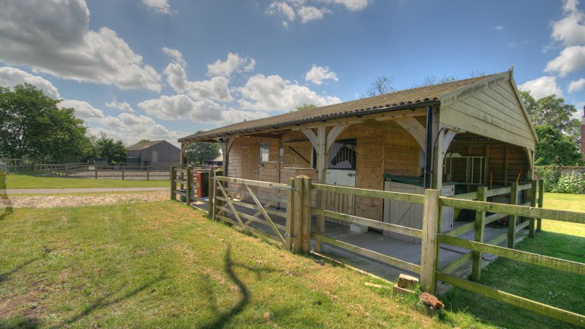 Paton and Lee offer a comprehensive range of equipment and facilities to treat your horse, pony or donkey either at your yard or in at our Hoo Hall clinic. 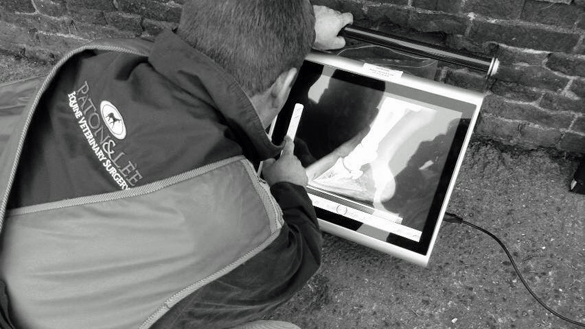 Our aim is to provide the very best veterinary care for your horse in the most convenient way for you - so if you would like x-rays taken at your yard, we have state-of-the-art portable digital radiography. Need endoscopy? Advanced dentistry? Ultrasound? Shockwave therapy? 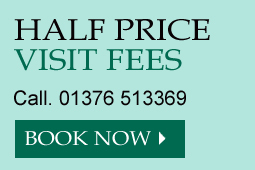 We can provide all of these services where your horse is kept*. See the list below for full details. Want to have a look around? You can take a full virtual tour of our clinic via the link below, or look around each individual room by scrolling down and clicking on each individual link. *some of our portable equipment does require a hard surface and mains electricity to operate. Sometimes it will be necessary to bring your horse in to our clinic. If that is the case, you can trust your horse will receive the very best care. 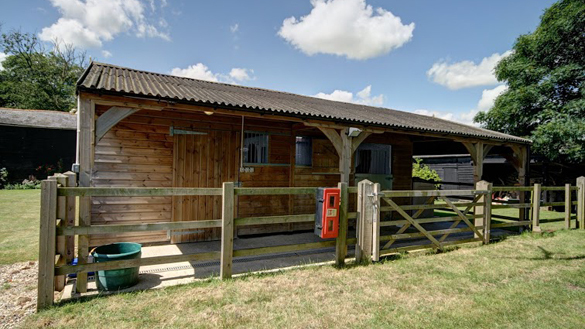 Our experienced yard staff and qualified equine veterinary nursing team will treat your horse as though it is their own (and they all have their own horses!) - so from a nice clean bed, to the feed and hay your horse requires, your horse's stay will be as stress-free as possible. 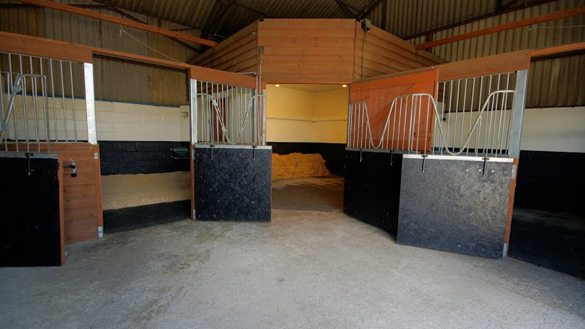 All our stables have rubber matting, good light and ventilation, and we use a range of bedding materials to meet your horse's needs. We can provide most types of hard feed plus dry hay, soaked hay or haylage as you require. We will ensure that if your horse is on any supplements or medication these continue throughout your horse's stay with us and we'll change rugs throughout the day to keep your horse nice and warm and cosy. 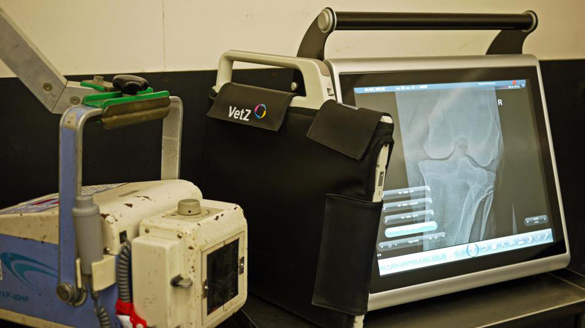 We have two state-of-the-art portable digital radiography systems (DR) and computed radiography (CR) that allows us to take superb quality x-rays both at our clinic and out on site*. 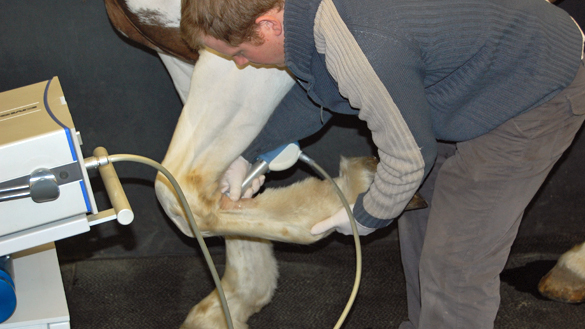 Whether during a vetting or as part of a comprehensive lameness investigation, you can be sure that our radiographs are of a quality that ensures no lesions will be missed. All of our radiographs are stored on a PACS system with additional backup so that images won't get lost, and we can email images or burn them onto disk should you require. Both of our two DR systems and our CR system use wireless xray cassettes so that there are no wires moving around your horse's legs, and we have a full range of blocks and holders for every xray view required. *Please note that mains power is required to use our DR system out on site. Our CR system can be run off our generator, so even if you have no power we can still xray your horse where he or she stands. 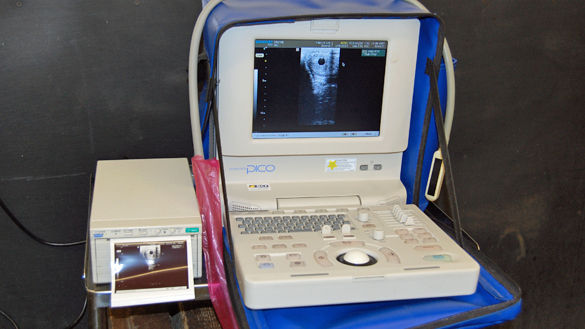 As with our radiography, we also have advanced ultrasound equipment that is fully portable and can be used out on site as well as here at the practice, ensuring that your horse can get the best possible imaging of any soft-tissue injuries. Ultrasound is extremely useful for diagnosing tendon, ligament and muscle injuries and for monitoring the healing process. It can also be vital when assessing horses with colic, weight loss, liver disease and other abdominal issues. As a BEVA approved AI centre we also have a range of ultrasound machines purpose built for equine breeding work, including battery powered machines that can be used where there is no mains power. At our Hoo Hall clinic we have full surgical facilities for both standing surgery and surgery under general anaesthesia to be performed. 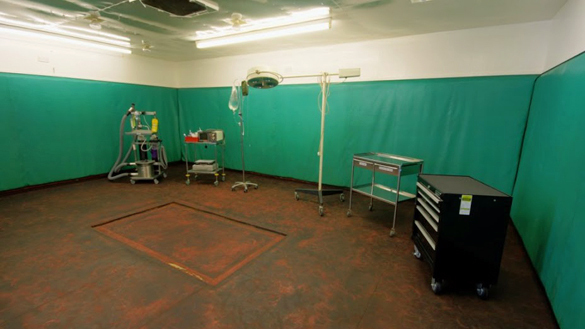 Our purpose built equine operating theatre is padded throughout for the safe induction and recovery from anaesthesia, with a hydraulically operated operating table mounted in the floor. 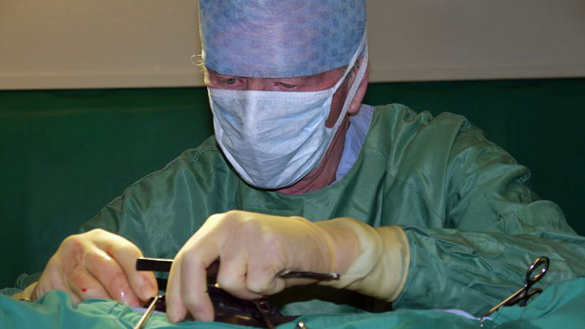 For most routine operations we will perform the surgery ourselves, but we always have our patient's best interest at heart, so for more complicated procedures we only ever use expert specialist surgeons who are operating on horses all-day every-day. 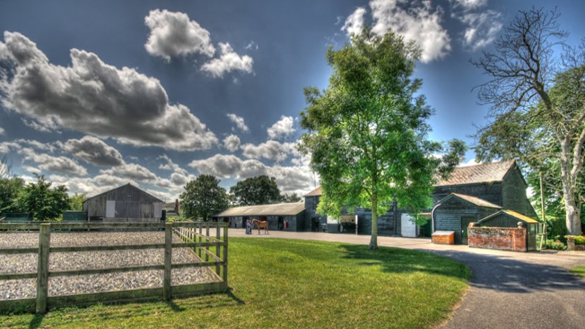 We are very fortunate to have an excellent relationship with Rossdales Equine Surgeons in Newmarket, and their surgeons are happy to visit our premises to perform surgery as and when required. 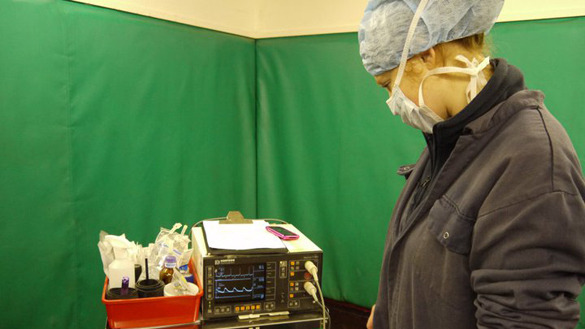 We have full anaesthetic monitoring (see anaesthesia section below for videos) and specialist stabling for any post-operative care that is required. 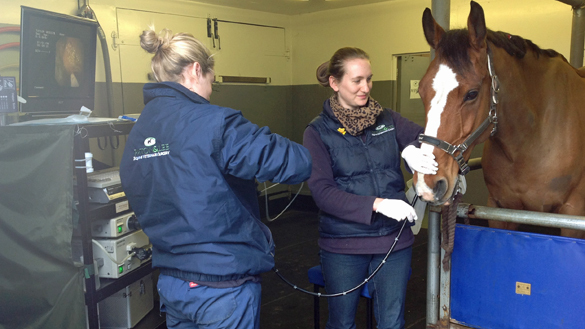 As an RCVS Tier 2 Equine Clinic we have high standards when it comes to monitoring your horse during general anaesthesia. The risk of anaesthesia can never be reduced to zero, but we do everything we can to ensure all of our patients come through any operation without problems. 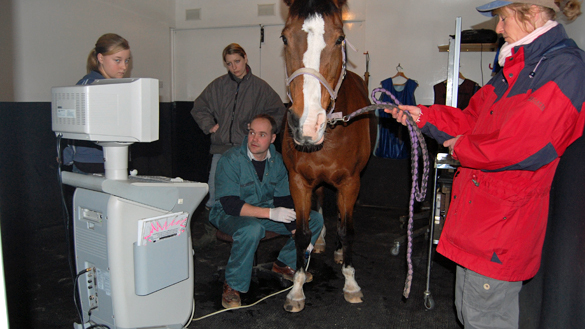 Your horse will receive a full health check before the operation, and during anaesthesia will be continuously monitored by a dedicated veterinary anaesthetist using direct blood pressure monitoring and a continuous ECG trace. 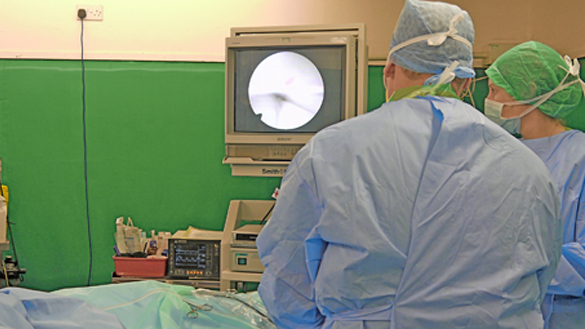 If you would like to see what goes on during an anaesthetic, we have embedded two videos below. 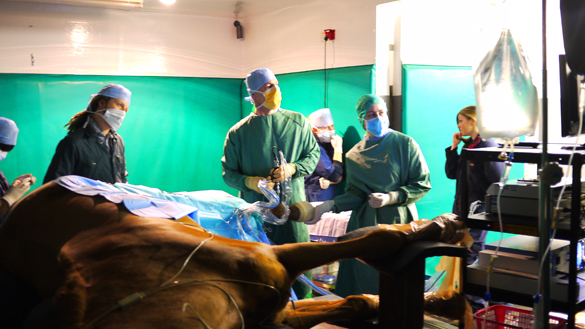 The first shows a horse being induced for anaesthesia and the second gives a short tour of our operating theatre during an anaesthetic. Biosecurity is vital in any hospital environment. Occasionally we have to treat horses that have infectious diseases. We have a dedicated purpose-built isolation unit that allows us to treat infectious horses in complete isolation. All horses admitted to the isolation unit have their own dedicated nursing team, who use specialised barrier-nursing techniques so that there is no risk of cross-contamination. The unit even has its own fridge, pharmacy, water-supply, equipment and drainage system. Extracorporeal shockwave therapy (ESWT) is a non-invasive treatment option for horses with a variety of ligament and musculoskeletal disorders including proximal suspensory ligament desmitis and impinging dorsal spinous processes (kissing spines). The ESWT unit produces high-energy sound waves that dissipate into the tissue around the injury site and stimulate healing whilst also reducing discomfort. Our ESWT unit is fully portable, so any patients requiring a course of shockwave therapy can be given the treatment at their yard. ESWT does make some noise (like a hammering) and can be slightly uncomfortable, so a little sedation is usually required. 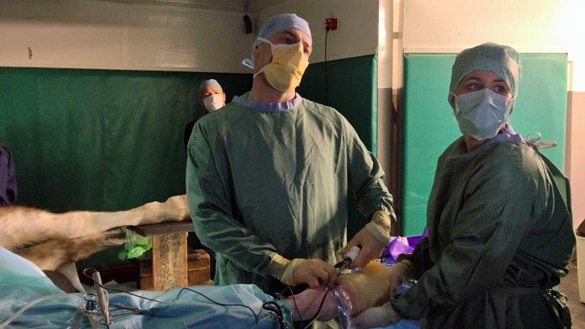 To perform video gastroscopy a long flexible camera is passed up the patient's nose and swallowed down into the stomach. The oesophagus (food pipe), stomach and duodenum (the first part of the small intestine) can then be examined in high-definition on our video gastroscopy unit and the findings recorded for future reference. 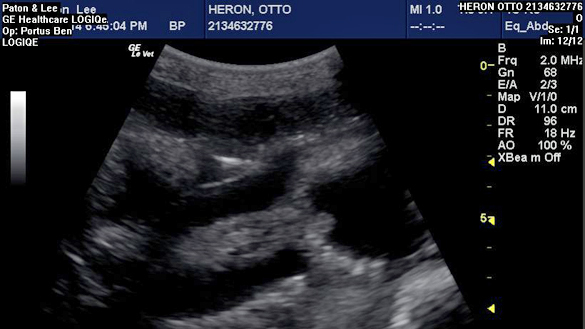 Gastroscopy is the only way to diagnose Equine Gastric Ulcer Syndrome, which is common in performance horses. It can also be extremely useful as part of an investigation into many other conditions, including weight loss, poor performance and behavioural changes. We are able to take duodenal biopsies via the gastroscope which can then be sent to the laboratory for analysis. Gastroscopy can be performed as an out-patient procedure at our clinic and you are welcome to stay and watch the procedure. Before the procedure it is necessary to withhold food from the patient for 24 hours, so some clients prefer to admit their horses the night before so that we can be the mean ones withholding their food! 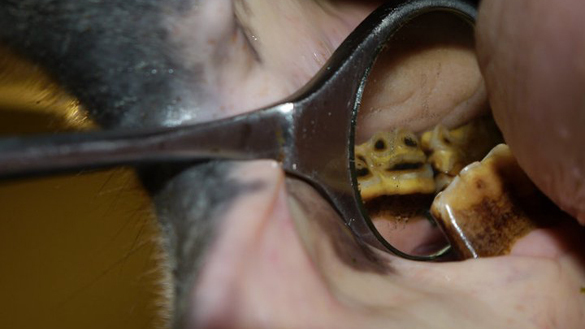 As a practice we have a keen interest in equine dentistry, from routine checks and rasps out on site to advanced dentistry when there are more serious problems. 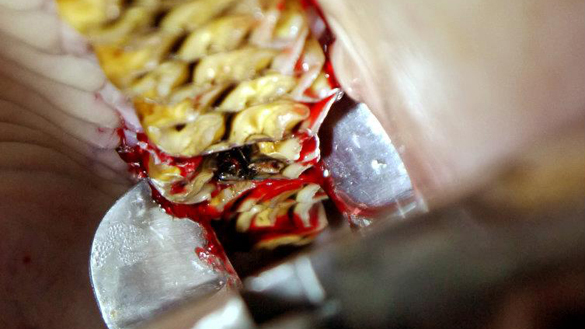 In addition to rasping we are also able to offer, if required: wolf-tooth removal (including blind wolf teeth); cap remove; portable oral endoscopy; portable dental xrays; oral extraction of molar fractures; rostral-profiling (bit-seating); diastema flushing, widening and filling; sinus surgery and surgical removal of molar teeth. The old saying goes "no foot, no horse" but we believe it's every bit as true to say "no tooth, no horse". 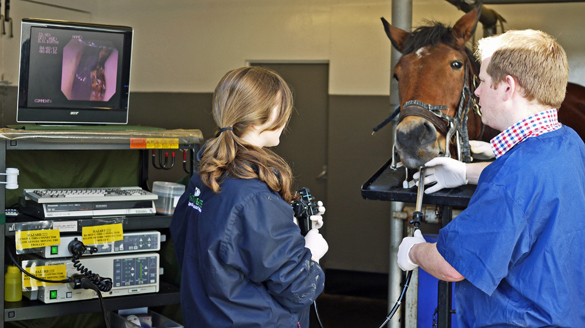 Endoscopy allows us to see inside your horse to try and reach a diagnosis. We have a range of clinic-based and portable endoscopes that allow us to perform upper-airway examinations, guttoral pouch flushes (for the diagnosis and treatment of strangles disease), tracheal washes (for breathing problems) and bronchio-alviolar washes (for deeper lung disorders). We can also visualise the sinuses, teeth and stomach / duodenum. Our portable endoscopes come complete with battery-operated light sources so that we can perform endoscopy even when there is no mains power. There is a short video showing the endoscopic removal of a foreign body below.